We moved from the Naval shipayard to a new shop in West Oakland. 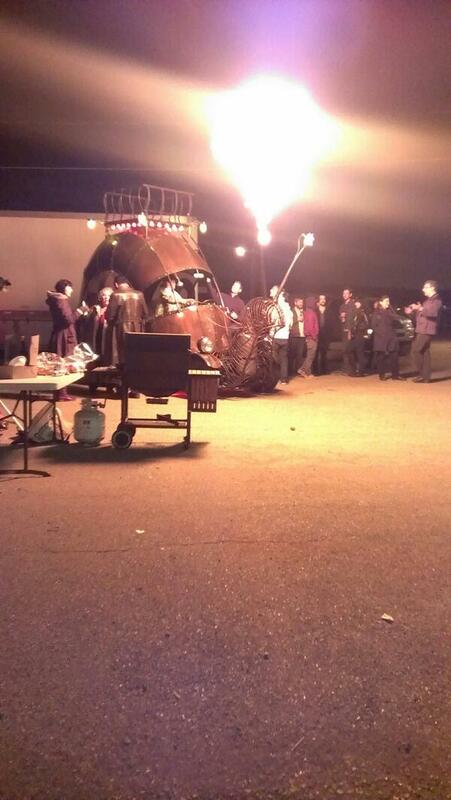 That seemed like a good excuse to call up some friends and throw some sparks. Since we weren’t ‘on stage’ this night, we were able to put some special members of our family and friends into the suit. This is either Tansy or Kiki in the suit. You can see the visitor’s cage in the background of the video and below. This allows us to bring members of the audience in up close quickly and easily. 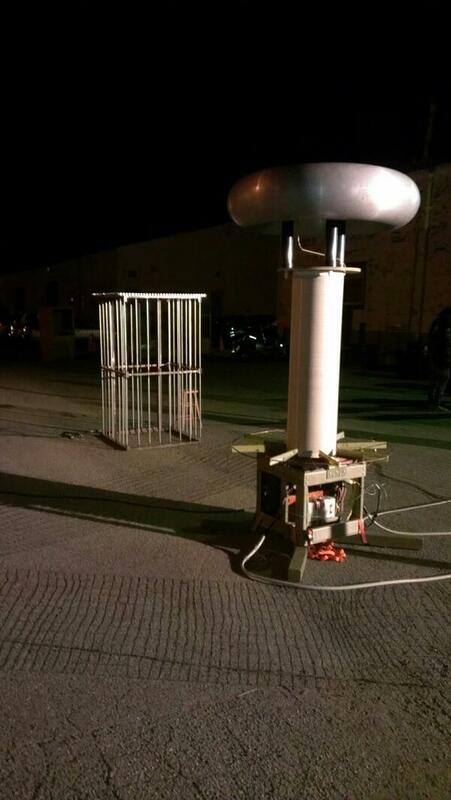 We really like to have the chance to play around like this, it gives us a low-pressure time to try out new things like the cage to see how it would work in a real show. 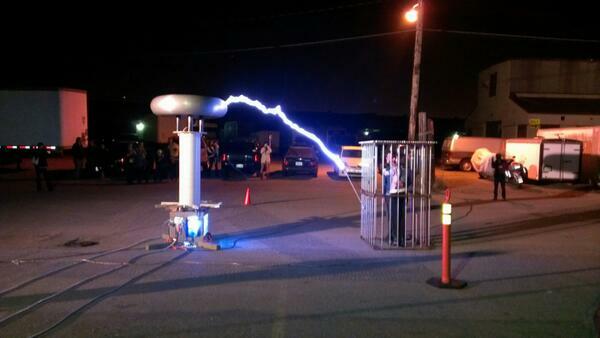 Or, sometimes it’s just fun to watch your friends play around with their toys and see how they work with a Tesla Coil. 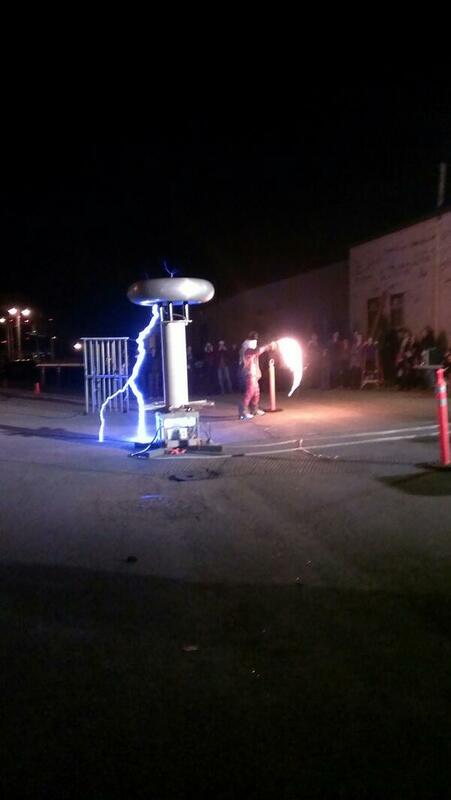 Here’s Tansy in the Faraday suit playing with her flame whip with the coil. It’s nice to have friends. Playing with a new solid state coil that Sparky picked up. Watch out, the video is kind of loud. 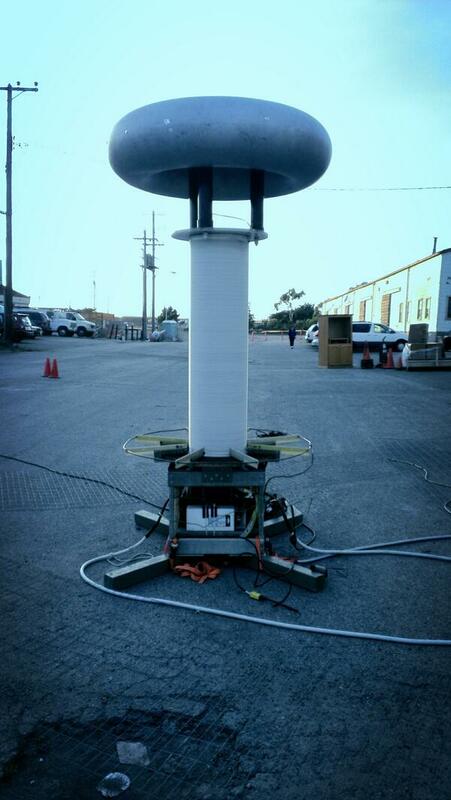 Moving Mini Tesla Coil and Flourecent Tubes from John Behrens on Vimeo.